Don’t Wait For The New Year To Resolve To Do Better. Posted byAnnie Tsai	 12/11/2013 04/25/2017 Leave a comment on Don’t Wait For The New Year To Resolve To Do Better. This time last year, perhaps you put your introspective hat on and created some New Year Resolutions for yourself. Wanted to finally run that marathon? On the list. Wanted to juice cleanse your way to inner peace? That made it too. While the New Year (and milestones in general) is a nice symbolic way to mentally prepare yourself for the added responsibility of revisiting old or forgotten challenges and reinvigorating yourself to dive into new ones, why not make this something you do year round? Every quarter, consider refocusing yourself by identifying your top two personal goals and reminding yourself why they are your priorities. Time to build on wherever you were 30 seconds ago and keep on chugging away, hopefully with a newly infused energy. 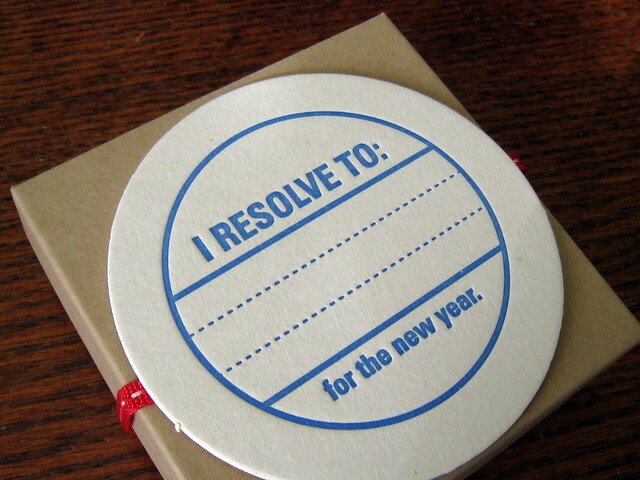 If you’ve indulged in the time-honored tradition of creating some goals for yourself this year? If love to hear them.